Mod X-Ray adds a sophisticated, but at the same time easy-to-use X-ray system in the game. 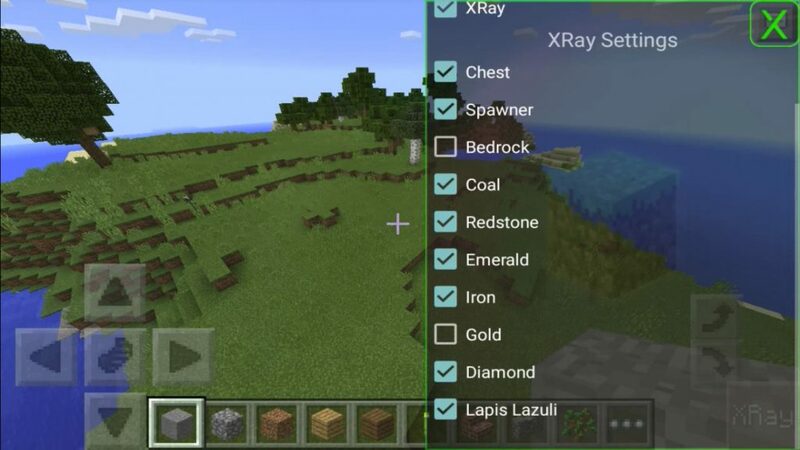 Basically, the X-Ray mod will allow you to detect certain types of ores looking through the blocks and see only those that you select in the X-Ray options, such as iron ores, gold, lapis lazuli, diamonds, etc. 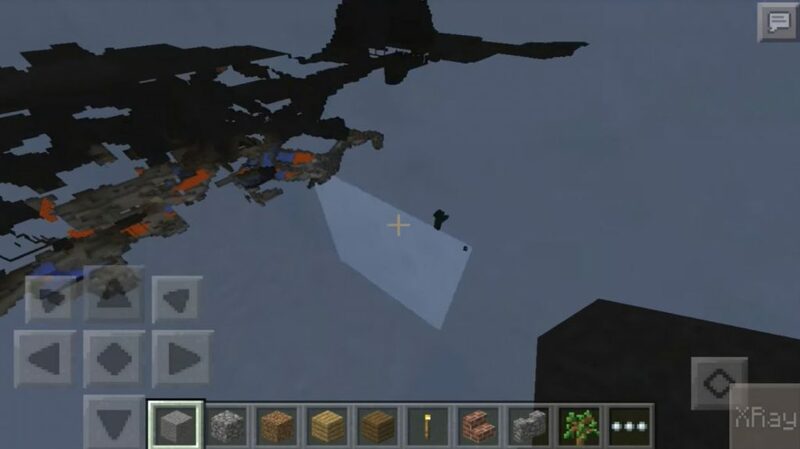 After you installed the mod and went into the world of Minecraft PE, you will see a new button that appears in the lower right corner of the screen. If you are playing on a tablet, then the digger may not be fully displayed, but you will still be able to click it. Select X-Ray and the type of blocks that you want to detect through the blocks. In this example, we chose to detect coal, iron ore and other ores. Exit the Minecraft PE menu and go to the options to enable fancy graphics if it is not enabled. Now you can see through the blocks and find diamond ores, underground tunnels and much more. Go to “ModPE Script” and click “Add”. Now you need to find the downloaded mod in the file system of your device and click on it.